At the heart of every successful film is a compelling story. In the case of Until 20, a documentary of the extraordinary life of James Ragan, producer-directors Jamila Paksima and Geraldine Moriba have just that: a story that needs to be told, to be shared and to be remembered long after its world premiere Friday night at the Austin Film Festival. James Ragan, of Corpus Christi, touched the hearts of countless people who had the privilege of knowing him during his 20 years on earth. Diagnosed at age 13 with a rare form of bone cancer, James lived his remaining years with courage, compassion and a sage wisdom far beyond his young age. He was an inspiration as an advocate for fellow pediatric cancer patients and as an avid fundraiser in support of research into new and better treatments — not only for pediatric osteosarcoma, the type of cancer that eventually took James’ life, but also for all “kid” cancers. In 2012, my colleagues on the MD Anderson Cancer Center Board of Visitors were proud to honor James as Special Ambassador to MD Anderson, an unprecedented honor that remains exclusively his. When he received this recognition in the office of MD Anderson President Dr. Ronald DePinho, James was, in his signature way, humble, articulate, poised, respectful and modest. Yet those who were present for the occasion say they were witness to a true legend, that rare human being who transcends the struggles of pain, disease and daily life to embrace positive change for the benefit of others. “One’s heart strains for an ending that is unfortunately not meant to be,” says Sid. Indeed, all were deeply saddened by James’ death last year. He was only 20 years old, but he had taught all of us — his elders, his peers and fellow patients, his family, friends and teammates — how to live. His legacy is his unforgettable courage and strength in the face of cancer, and his deep concern and advocacy for other patients. His example will forever change the way one thinks about life. Mel Klein has been a member of the MD Anderson Cancer Center Board of Visitors for 25 years and is currently serving his second year as chair. 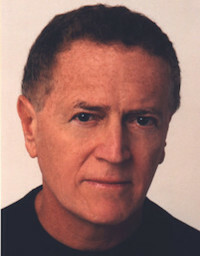 An investment banker, entrepreneur, venture capitalist, attorney and philanthropist, he is the founder of Melvyn N. Klein Interests, chairman of the board of Par Pacific Holdings Inc., and a respected community leader in Corpus Christi, Texas, with business interests in New York, Chicago, Los Angeles and other cities in the U.S. and internationally.